I just got back from the 11th Annual Disney Dreamers Academy! And in true fashion, I walked away with a new outlook on life, motherhood and what it means to go after my own dreams. Over the coming weeks and months, I’ll be sharing more details about all of my favorite takeaways as well as interviews from the event. I’ll also be sharing when applications are open so if you or someone you know has an eligible Dreamer, you can encourage them to apply. This was my third year covering this life-changing event. 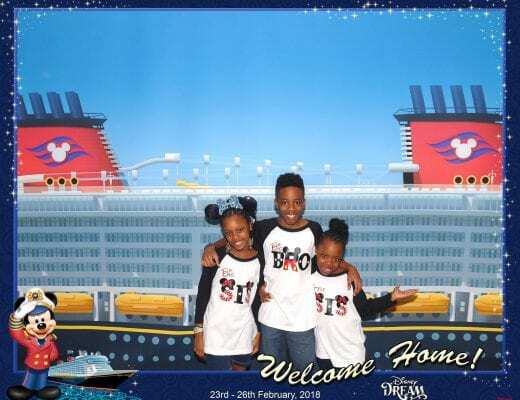 As a parent of what I hope will be future Disney Dreamer Alum, I wanted to also give some insight into the parent programming this time around. I loved when Lisa talked about how the parents think they come to Disney Dreamers Academy for the kids, but it’s a setup. It’s a setup because parents don’t realize their own transformations that will take place during the course of the weekend. 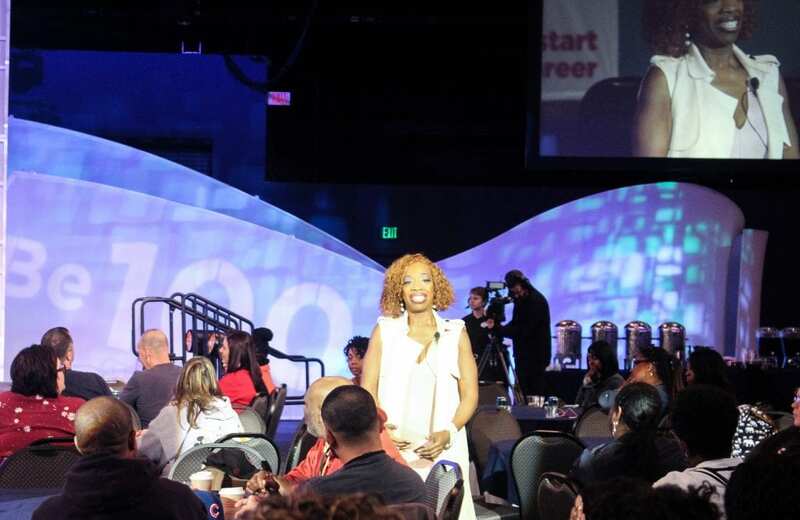 I absolutely LOVE Lisa Nichols and am always glued to every word when she speaks. I was excited to see her back at the Disney Dreamers Academy! Lisa is a world-renown motivational speaker that comes for your personal transformation with every word she speaks. 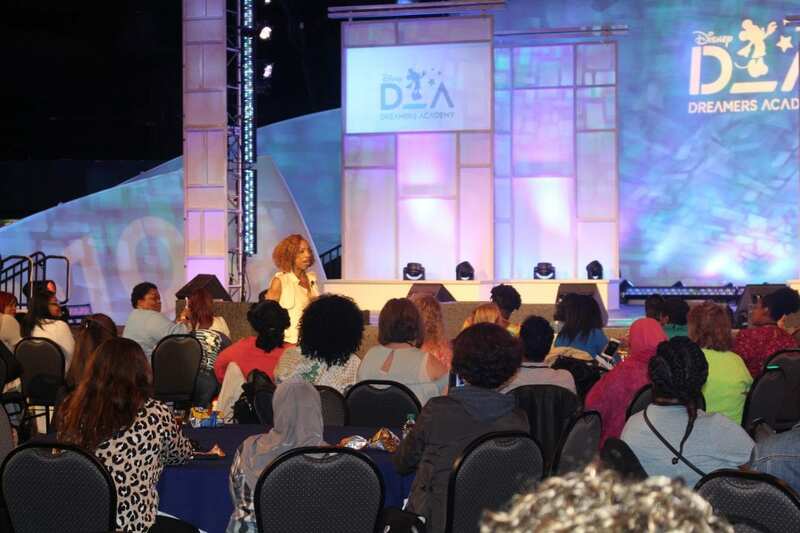 During Lisa’s talk at the parent session, she spoke about dreams deferred as parents. I love Lisa’s advice and think you will too. The question below was so important to me because this is the exact reason I decided to start Moms ‘N Charge in 2012. I knew that following my dreams as a mom, meant that my children would see and be given permission to follow theirs. What are three steps parents can do to take action on their dreams? 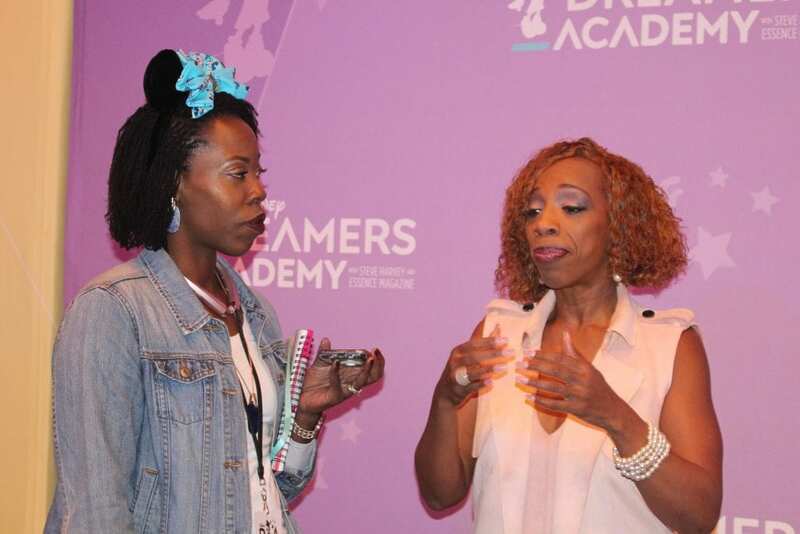 This was the question I posed for both Lisa Nichols and Tracey Powell (Disney Dreamers Executive Champion). We are living in such a time that resources are plentiful. It’s easy to start your own TV or radio show. It’s easier to network and connect with decision-makers and go-getters. Lisa said that the first thing she would do is call a family meeting. She said she likes disruption. Tell the family that you owe them an apology and to please attend the family meeting. She went on to explain that everyone will show up for an apology. Not only will they show up, but they’ll show up on time. And then you give them notice, Lisa explains. Number two piece of advice is to get into a community of dreamers. 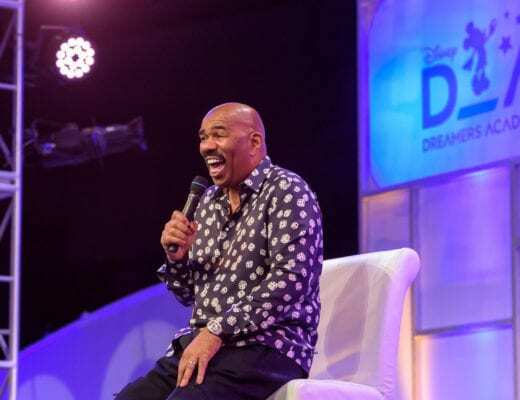 “Dream builders, not dream busters!” Know who you’re sharing your dream with. You have to be aligned with dreamers. Put yourself in their proximity. Go to networking events, go to conferences. Lisa also shared that she had to find these people on her own as she started to build her own business. Here is the third, and probably the most powerful piece of advice she shared. Say these things every day after you brush your teeth but before you put on makeup. 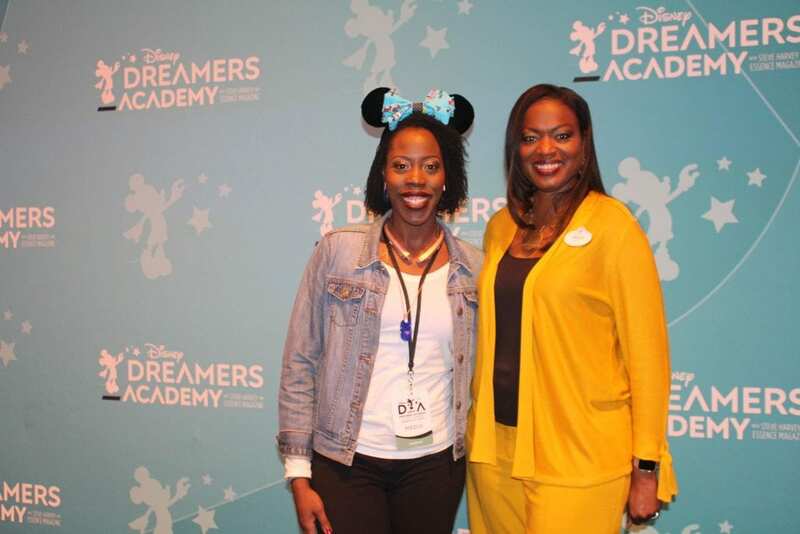 While Tracey is known for her role with the Disney Dreamers Academy as the Executive Campion, in her day job, she is the VP of Commercial Management for Walt Disney World Resorts. Tracey’s advice was simple: Listen, take risks and keep going! First, parents need to listen to that voice inside them. “No one else knows what that parent wants to do. You have to listen to that voice.” Be still and be silent. You have to be still in order to listen to what that is for you. If you know that you’re taking a risk, that means that you’re pushing it. By pushing it you’ll have new experiences which will help propel you to get to your dreams. I truly believe that when our kids see us living in our own dreams, it gives them permission to live out their own. Kids learn from what they watch more than what they hear. So I knew that I wanted to be that example for my kids. This is why I just shared on Instagram how my 8-year-old is beginning to live out her dream of becoming a fashion designer. 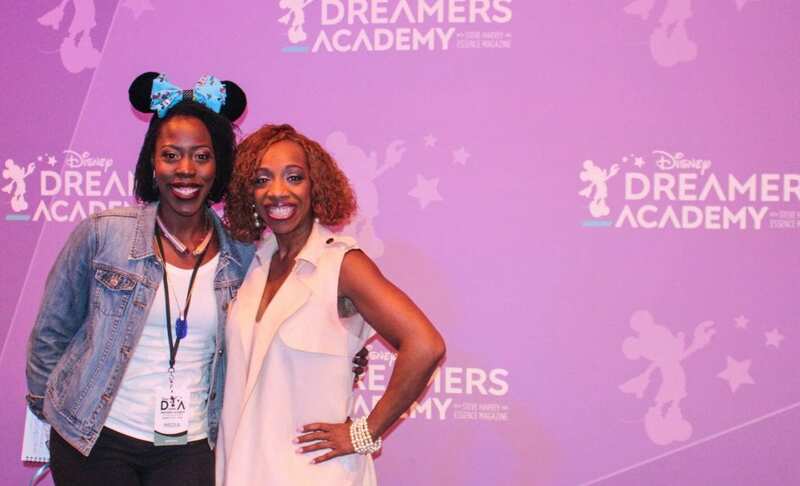 In case you missed it, below is everything I’ve written highlighting the Disney Dreamers Academy over the last couple of years. I encourage you to read and share with others who might be blessed by this program. 5. Moms ‘N Charge® is Going to Disney! 7. Motivational Monday: When is the Last Time You Pursued Your Dream? 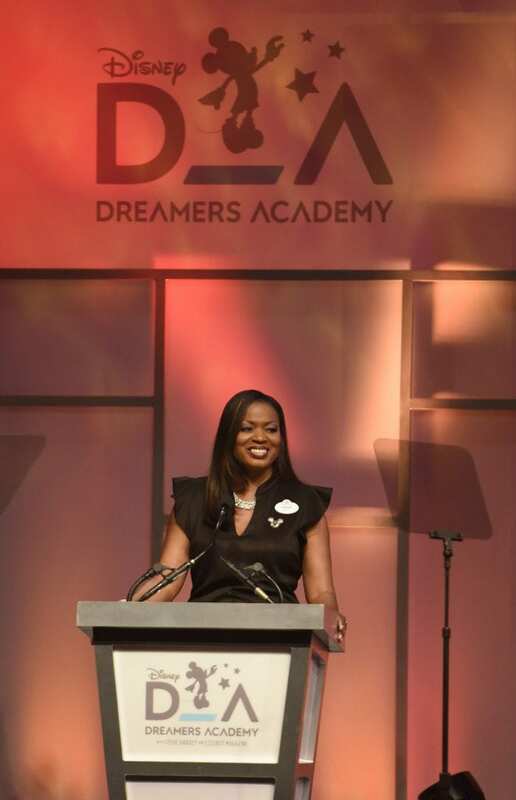 I was hosted by Walt Disney World as part of the media team to attend and cover the Disney Dreamers Academy. As always, the thoughts and opinions are my own. I love, love, love that I’ve inspired my kids to dream. My mom inspired me to keep dreaming and to actually pursue my dreams as a child. 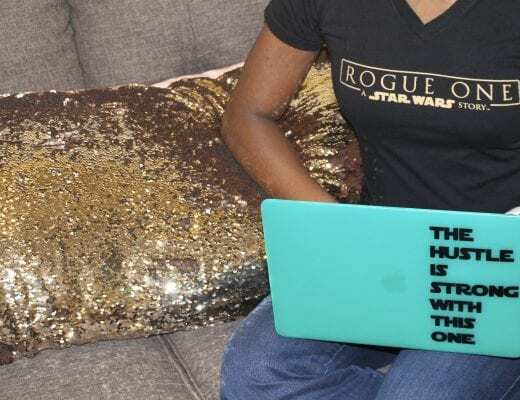 So when I became a mom, I knew that if I couldn’t do anything else, I wanted to do that.